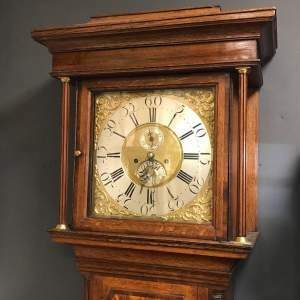 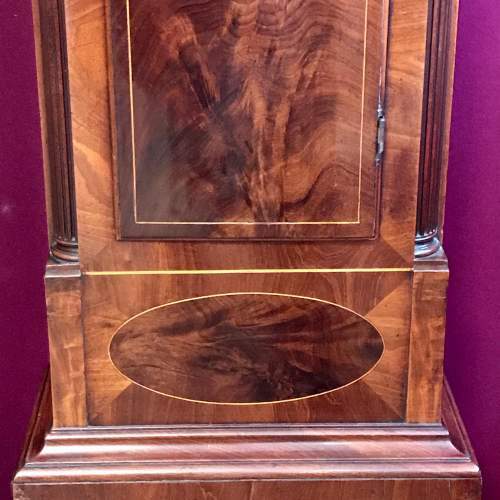 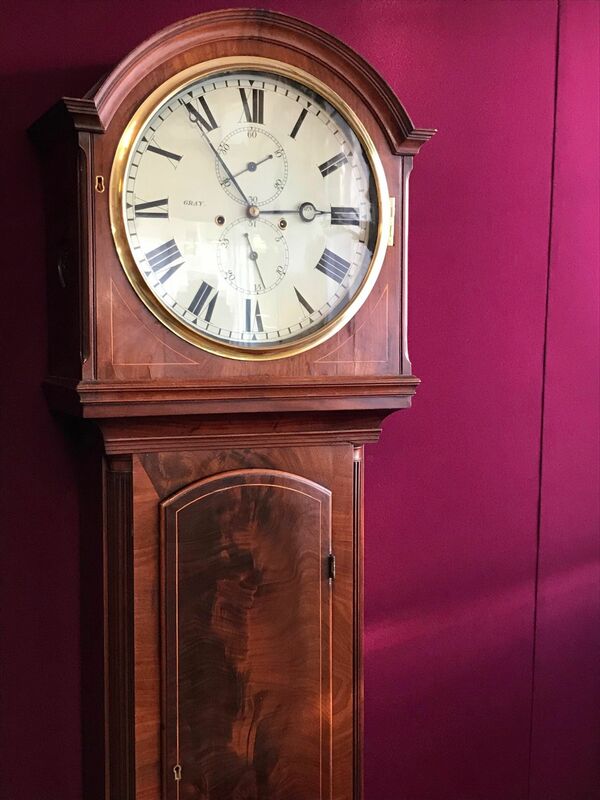 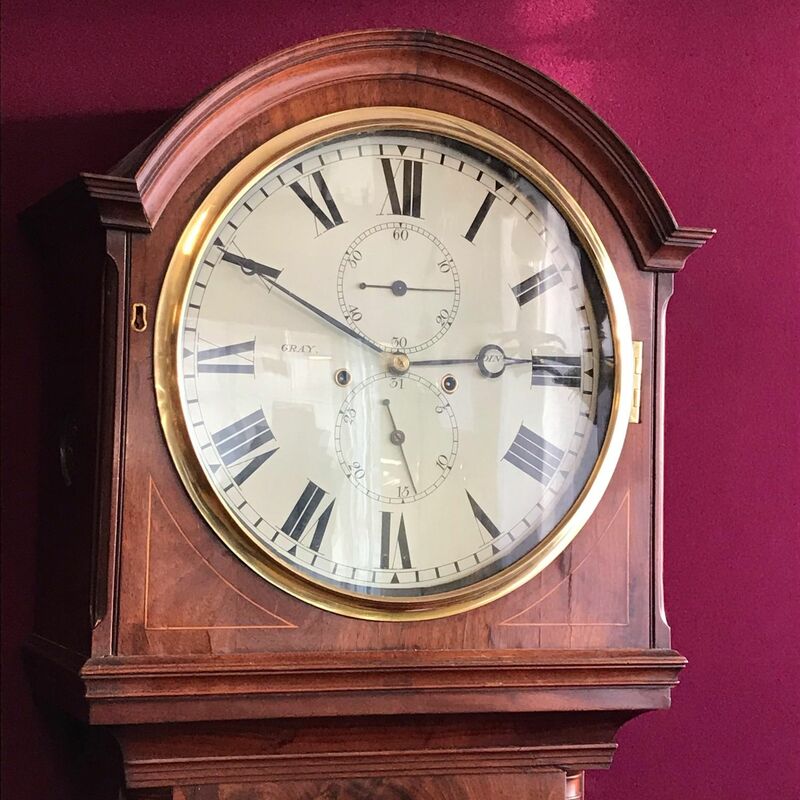 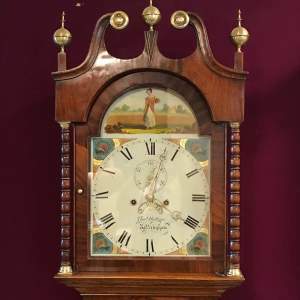 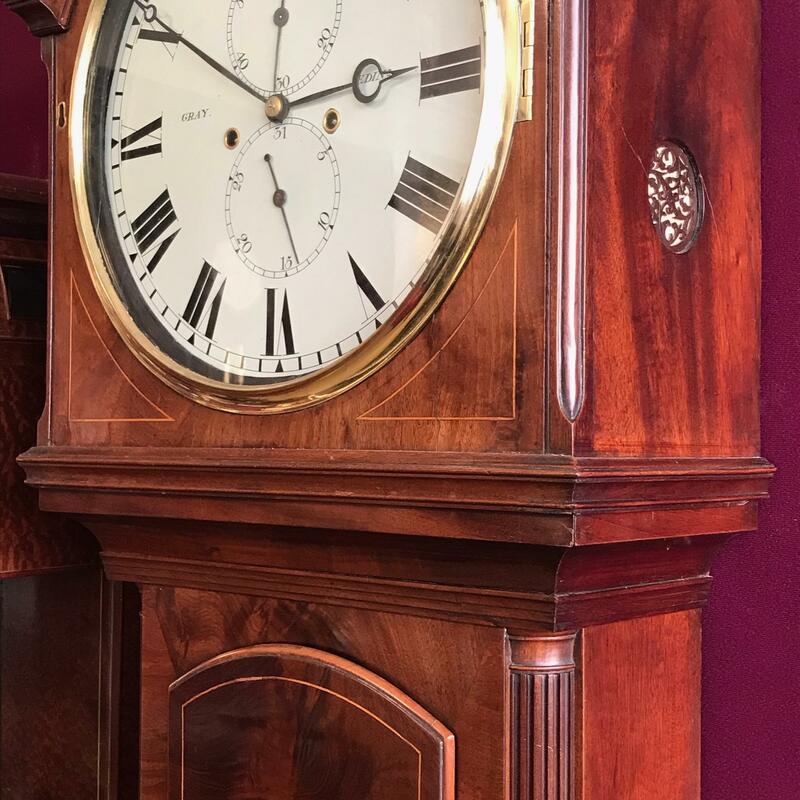 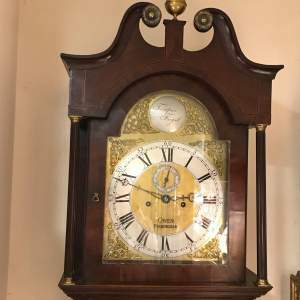 Scottish Longcase Clock by James Gray, clockmaker to George III. 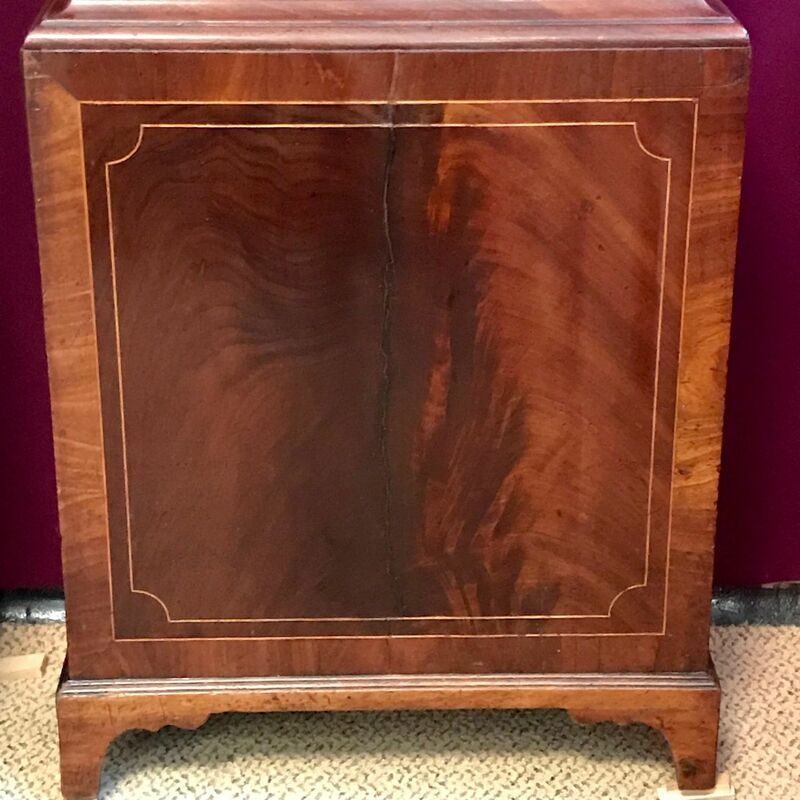 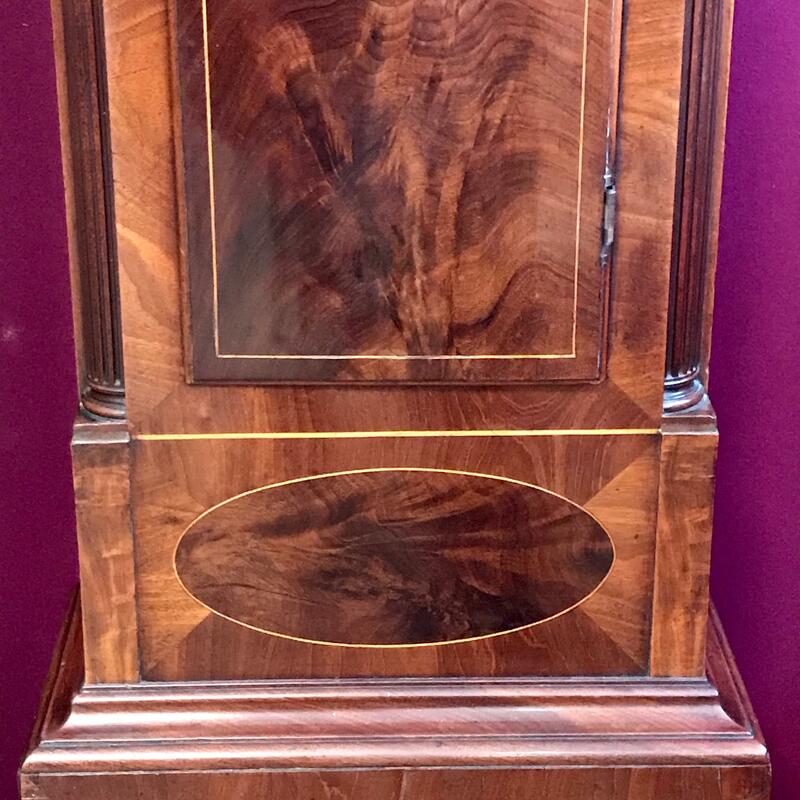 Flame mahogany case inlaid with boxwood and with walnut panels. 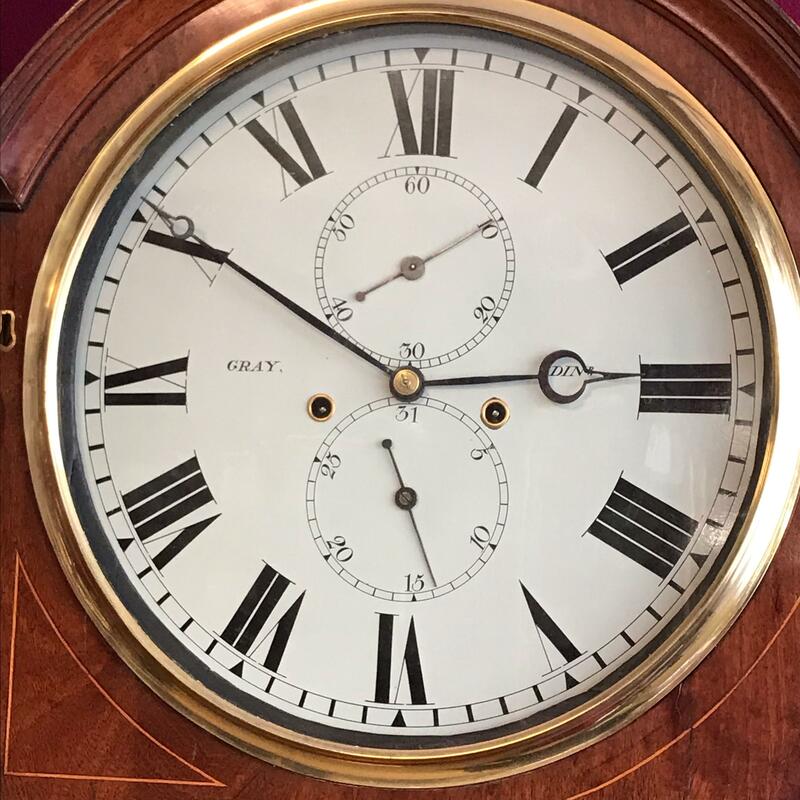 Quality movement striking the hours on a bell. 13” painted dial with seconds, subsidiary dial and functioning calendar are covered by a cast brass bezel.